Morro Bay Art Association is proud to present world renowned mixed media artist, Christi Friesen for three individual polymer clay workshops. Christi is an award-winning artist, specializing in polymer clay, embellished with mixed media. She uses a variety of gems, pearls, beads, fiber, artifacts, metal and found objects in her jewelry, figurines, vessels, 2-dimensional art and sculpture. Christi teaches throughout the United States, France, Italy, Ireland, Australia, Japan, and Cruise ships. Throughout the world, Christi uses humor and positive energy to encourage students to stretch their creativity, technical skills and artistic confidence. Christi has been featured in numerous publications, juried exhibits and competitions. She has authored eleven how-to books on the subject of creating with polymer clay and has her own line of water-based metallic paints. You will have a whale of a time in this workshop. You will create a fun whale using polymer clay, then embellish it with mixed media in a steampunk style. Not into steampunk? Use crystals for a bling whale! Or leave it au naturelle. The finished piece can be a brooch, pendant or a small wall piece. All materials are provided. Just bring a smile! All skill levels welcome, no prior experience required. May cancel registration up to 10 days of scheduled workshop for full refund. During this workshop, students will explore creating bas relief style sculptural pieces and adding painterly details with pastels and real gold leaf. Completed pieces can be a brooches, pendants or even small wall pieces. All skill levels welcome, no prior experience required. All materials provided, just bring a smile! WHEN: Special Meet & Greet with the Instructor, April 26th, 4-6pm. You will have soooo much to explore in this workshop! No matter what your skill level, you will end the day with a whole new set of tricks at your fingertips! Students will explore sculpting with polymer clay to create a butterfly that can be a brooch, pendant or wall piece. You will learn how to form an artful bowl and use powders to decorate it with incised line art. Polymer can mimic stained glass! It’s easy and very addictive – you’ll explore this technique as well. After creating polymer clay sculptural anemones, you’ll use resin to create a delightful tide pool brooch. But wait, there’s more! You will use epoxy clay to combine polymer and range of embellishments to create a small mosaic piece that can be a personal adornment or a decorative embellishment. All skill levels welcome, no prior experience required. All materials are provided, just bring your smile! Art Center Morro Bay is pleased to welcome gifted photography instructor, Brady Cabe. Brady’s monthly classes and workshops will focus on the use of camera equipment and settings in the classroom or on site. Check each class description for location and recommended equipment. SUMMARY: This workshop provides a complete Milky Way photography experience, with an emphasis on Milky Way capture, star trails, and light painting. On day one we’ll spend the evening photographing the night sky – going over location planning, best practices, and answering all your astrophotography questions. Day two consists of post-processing where we will dive into our photos from the night before and learn to assemble star trail images. This class material offers a complete Milky Way photography experience, with an emphasis on Milky Way capture, star trails, and meteor showers. On day one we’ll spend the evening photographing the Perseid Meteor Shower – going over location planning, best practices, and answering all your astrophotography questions. Day two consists of post-processing where we will dive into our photos from the night before and learn to assemble star trail images. Morro Bay Art Association is proud to present Let’s Play with Color, a watercolor workshop with award winning artist, Nancy Collins. Nancy has spent more than 40 years making art. She’s executed everything from sculpture to print making, but her true love is watercolor. Nancy utilizes bold, brilliant color in her paintings, creating contrasting values that appear to glow with light. Nancy’s work has been exhibited around the globe. She has been featured in shows for Art in the Embassy, Mendocino International Music Festival, Mendocino Art Center, Stanford University, Fioli Gardens, Scharffenberger Cellars, Little River Inn and many more. 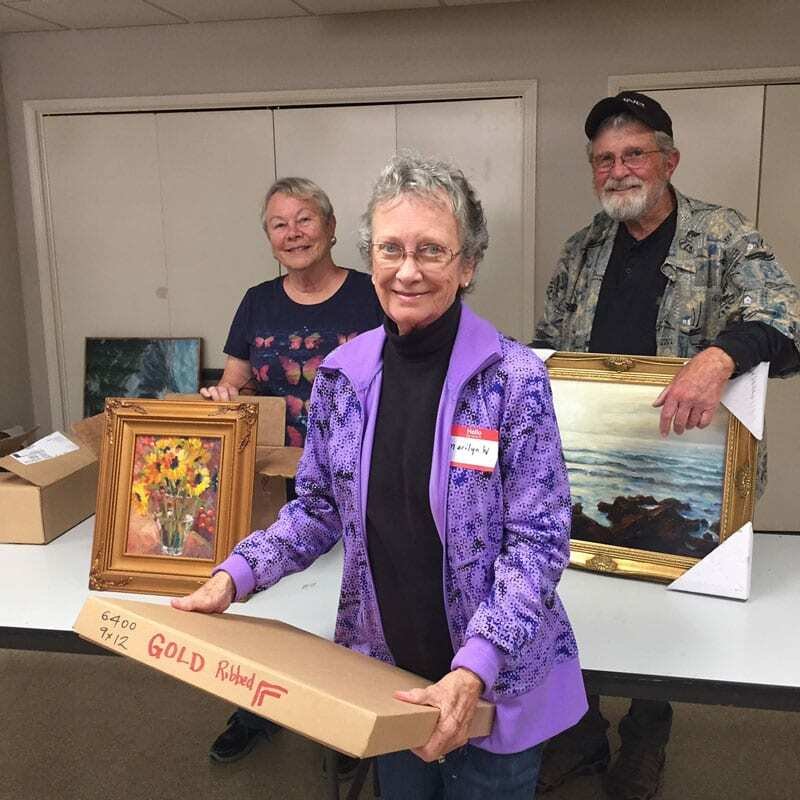 Nancy’s work has been published in numerous magazines to include, American Artist Magazine, Watercolor Magic, Mendocino Arts Magazine, Splash and How Did You Paint That Volume 6. During this workshop, Nancy will give a short lecture about color, properties and combinations. You will then work on a simple project of your own using the information given during the lecture. Nancy has a hands-on approach that will add to lot’s of individual instruction. Nancy will help you understand which colors are pushy or sticky and which colors work well together. She will provide a list of colors that normally make mud but happen to work well together on paper. 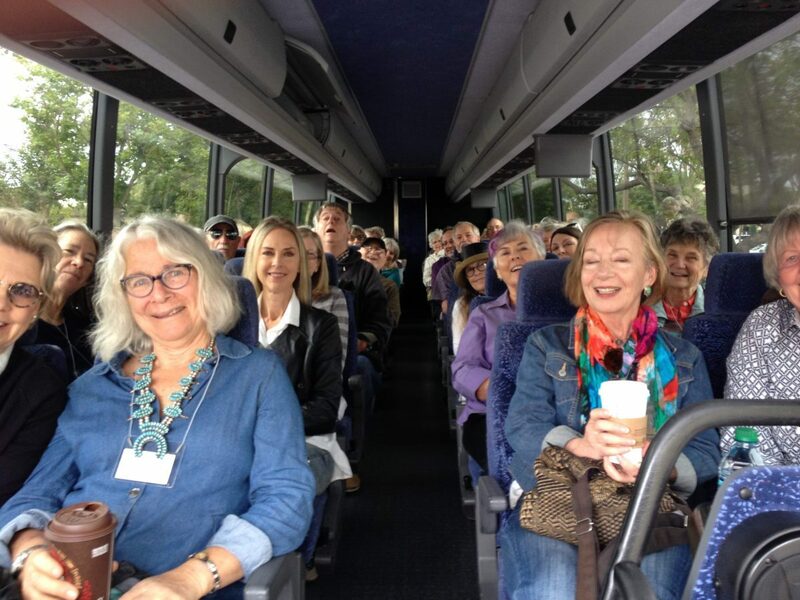 If you’ve thought about making a move to vibrant watercolor paintings that seem to pop off the paper or want to learn how to make your paintings sparkle, don’t miss this fun and informative workshop! This workshop is appropriate for beginner to advanced. First 7 sign ups receive a Nancy Collins DVD, a 47 min class about color. This DVD is not the same information provided in this workshop. Morro Bay Art Association is proud to present a 2-day workshop, Mixed Media Basics, with Lisa Agaran. Mixed media is an ideal way to explore creativity and uncover your inner artist without the pressure of having to be “artistic” or create that perfect piece of art. Have fun using a variety of acrylic applications and techniques with collage, acrylic paint, layering with cool textures and found objects. Lisa earned a Bachelor of Art degree from Art Center College of Design, Pasadena, Ca and a Masters in Psychology. 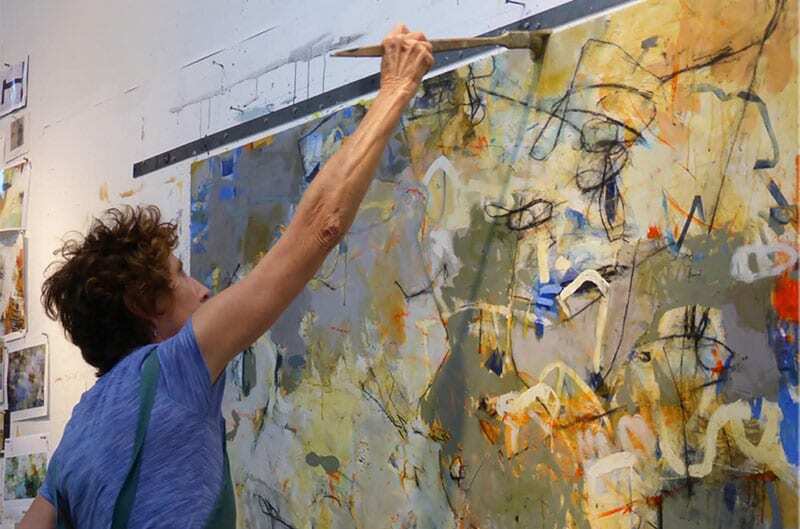 She currently teaches a variety of mixed media workshops throughout California and leads an annual mixed media retreat, Awaken Your True Creativity, in Cambria, CA. Lisa has exhibited in galleries throughout Los Angeles and New Mexico. 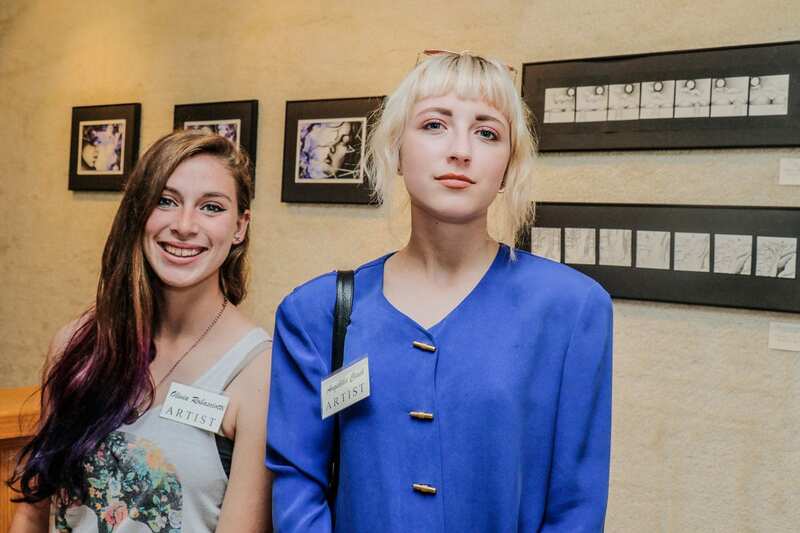 Her artwork has been published in Incite, Dreams Realized: The Best of Mixed Media and Incite 3: The Art of Storytelling. During this workshop, you will learn basic composition, surface patterns, texture and mixed media techniques with color ideas that create visual balance and impact. Lisa will show you how to incorporate personal photos, found objects, text and lettering into your mixed media pieces. Materials Include: Printed step-by-step instructions for each technique, 6 art panels, acrylic paint, collage materials, acrylic medium, brushes, sea sponge, found objects, and more. This workshop is appropriate for beginner to advanced. Morro Bay Art Association is proud to present felting and fiber landscape artist, Debbie Gedayloo. Debbie has a 30-year history of teaching art to adults and children. While teaching English as a second language, Debbie used visual art to help educate her students. Her love of creativity and self expression blossomed into fiber art. “Wool is such a tactile medium with a personality that yearns to be drawn forth”. Debbie designed and painted a cow for the 2016 San Luis Obispo County Cow Parade and has participated in Imadonnari street painting festivals in San Luis Obispo, Santa Barbara, Temecula, Carlsbad, Laguna Niguel, Ventura and Prescott. During this three-day workshop, Debbie will demonstrate a new twist on felting and fiber-painting. Students will be creating individual landscapes using wool, yarn, string, beads, shells and more. Landscapes as a topic, will allow for endless expression for each participant. Whether you are an experienced artist or a first-time creator, this workshop will open your eyes to a new medium, using felting and fiber as art. All skill levels are welcome. Morro Bay Art Association is proud to present Making a Beaded Bracelet with jewelry artist, Ellen Lodge. Ellen has been making jewelry for over 40 years. She has taken classes in silversmithing, fabrication, casting, and most beading and wire wrapping techniques. She teaches several methods, including stringing and knotting. During this workshop, Ellen will teach students how to make a glamorous beaded bracelet while providing the skills necessary to produce a professional looking piece of jewelry. All supplies are included to make one bracelet. Ellen will have an assortment of beautiful colored Czech glass seed beads for you to choose from and will explain how to make interesting swirl patterns by utilizing different colored beads. If you’ve been fascinated by the art of making jewelry and want to learn how it’s done, don’t miss this fun and informative workshop! 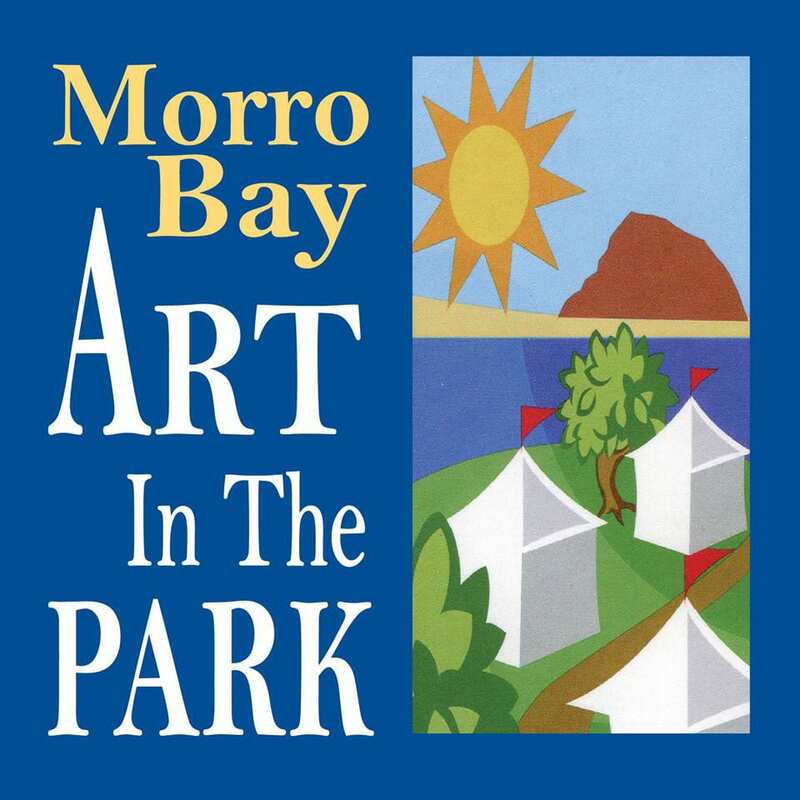 Pre-registration is required: : www.artcentermorrobay.org or Contact: Art Center Morro Bay (805) 772-2504. Full refunds are available for classes cancelled 7 days in advance. Morro Bay Art Association is proud to present a workshop in soft pastel by award winning artist, Greg Trombly, PhD. Discover the magic of pastels in a relaxed and supportive environment, focusing on basic drawing and observation skills. This workshop is designed to provide plenty of hands on guidance, allowing students to work from reference photos of their choice. Students from beginner to advanced are welcome. Emphasis will be placed on composition, color and value. Greg will begin each day with a short demonstration, followed by independent work from personal reference photos and instructor guidance. Students are encouraged to bring a reference photo of an ocean seascape or favorite bird. Images will be provided for reference to those who do not bring their own. Dr. Greg Trombly holds undergraduate and graduate degrees in Education from State University of New York at Oswego and State University of New York at Albany. In addition, he holds a PhD in the Cultural Foundations of Education from Union Institute and University, Cincinnati, Ohio. Dr. Trombly has been an educator and administrator for the public school system and at the university level. He has continued art education by participating in workshops from acclaimed artists such as Terri Ludwig and Daniel Greene. He exhibits artwork in New York, and his artwork is held in private collections throughout the country. 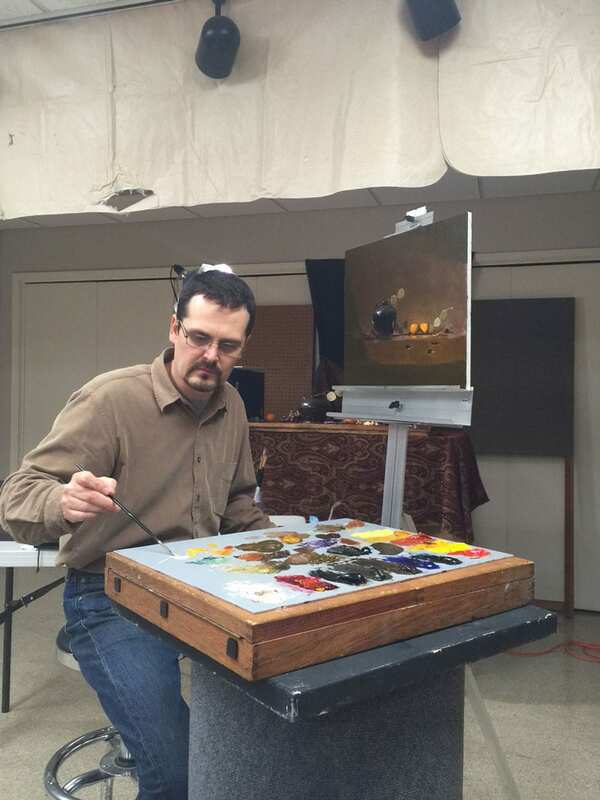 Connect with other artists and learn basic skills in soft pastel. This class is not utilizing oil pastel, rather “soft pastel”. A materials list will be provided. This workshop is designed for beginners however all skill levels are welcome. COST: $165. Members; $175. Non-Members for the 3-day workshop. MATERIAL LIST: Materials list can be found at the gallery or contact Gail Martin at gailm1314@gmail.com to request one. 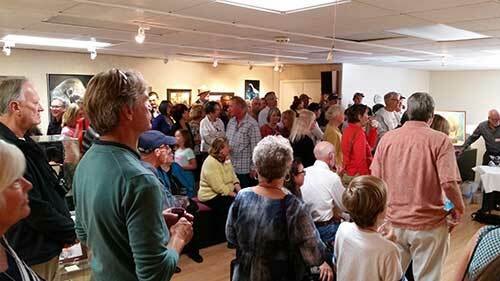 Morro Bay Art Association is proud to present International, plein air artist and instructor, Guido Frick. Guido Frick was born in Konstanz, Germany and studied art in Prague Czechoslovakia. Professor Emeritus Dr. Janos Herczeg; University of Szeged, Hungary, refers to Frick as the “living” Bongart. Frick is represented by New Masters Gallery, Carmel CA, Sunset Art Gallery, Amarillo, TX, Evergreen Fine Art Gallery, Evergreen CO, Bebb Fine Art, Ludlow, England and Galerie See Motive, Konstanz, Germany. Frick has been featured in numerous periodicals and magazines throughout Europe and the U.S. to include, Art Journey America Landscapes: 89 Painters’ Perspectives by Kathy Kipp, Maler sehen den Bodensee: 200 Jahre Landschaftsmalerei aus privatem Besitz by Carlo Karrenbauer, Southwest Art, American Artist Workshop, Art of the West, Art Talk, Western Art Collector Magazine and Oil Painting with the Masters by North Light Books. During this workshop, Guido will teach you how to interpret and translate what you are seeing to a canvas and develop your own artistic language. He will discuss the use of colors, values, mood, drama and atmosphere while painting outdoors. Day 1: Students will be work on a still-life of choice, while painting outdoors to capture the complexity of color working in sunlight. There will be an introduction and theoretical instruction followed by a demo, then students will paint. Day 2: Students will be a paint plein air landscape at a location to be determined. A full landscape demo will be provided. Guido will circulate giving personal instruction. At the end of each session he will be able to critic your work giving you individual ideas and personalized help. All levels are welcome. You may choose to paint in oil, acrylic or watercolor. Contact Gail Martin for a supply list. Morro Bay Art Association is proud to present award winning artist, Cuong Nguyen for a three-day workshop, “Portraits in Pastel”. A professional artist of international acclaim, Cuong Nguyen, works in both oil and pastel, though casual viewers may have difficulty distinguishing the two media in his hands. He almost never blends strokes, yet achieves a level of detail and smoothness of gradation that is unusual in pastel paintings! Mr. Nguyen studied at the Academy of Art in Saigon, Vietnam. He earned a degree in Illustration & Graphic Design from San Jose State University and established a successful career as an icon designer with a prominent Silicon Valley company before becoming a professional artist. Ultimately, Cuong’s passion for art resurfaced. He began to create sidewalk chalk drawings. These ephemeral artworks were as large as 16' x 24'. Cuong soon established a reputation for painting amazingly lifelike portraits on asphalt. He began to exhibit in international art fairs and returned to his studio, where he spent endless hours refining techniques with more traditional media. Cuong Nguyen is a member of Oil Painters of America, International Guild of Realism, a Distinguished Pastellist with Pastel Society of America and Pastel Society of the West Coast, Master Pastelist with Pastel of America and Master IAPS Circle with International Association of Pastel Societies. His work has been exhibited at national and international exhibits; the Triton Museum in Santa Clara, California and the Haggin Museum in Stockton. Learn about drawing, values, edges and composition, in a workshop designed to create in a relaxed, informative yet focused environment, for all skill levels. Students will concentrate on drawing the human head and creating life-like skin tone colors using the green foundation technique, while developing new skills in soft pastel and pastel pencil. This workshop will feature live models.